Over the last couple of decades, we have seen many different aspects of the modern corporation go through a data-driven revolution. The ones of particular note are Sales, Marketing and Customer Success. While leaders leading these functions in the past relied on instinct, today these are driven by data and analytics. For example, Sales has gone through a revolution through the introduction of CRM systems which track all manners of details that might drive a sales opportunity. All of this data in aggregate, when analyzed provide sales leaders with where to expend their efforts to get the best results. Similarly, Marketing and Customer Success teams increasingly use state of the art systems to collect critical data points that enable them to get the best bang for the buck with their efforts. It is increasingly important that People Operations and HR Departments become data focused. But, the most insightful data imaginable, however, only empowers us as far as it is actionable. In the shape-shifting world of modern business, data can provide organizations tremendous insight if it's embraced and properly integrated into operations. 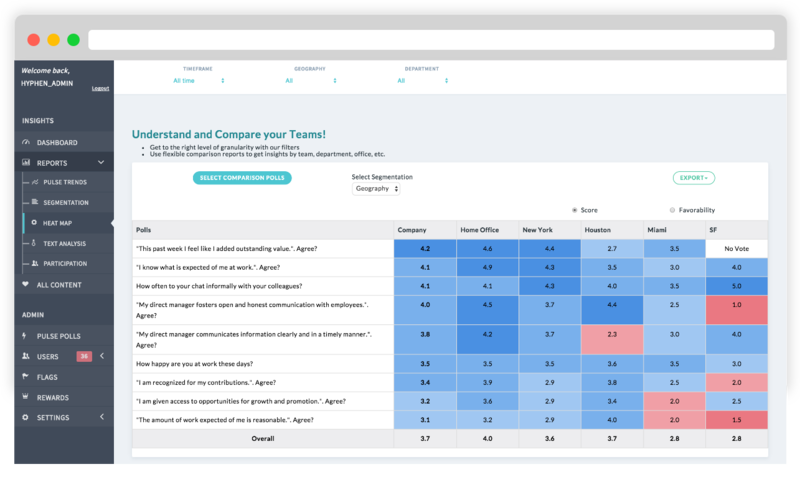 While we've written about the intricacies involved in creating the ultimate employee engagement (EE) survey, effectively organizing and acting on the resulting employee feedback data is where the true impact of the surveys and pulse polls are realized. While it's important that HR leaders gather critical data, that is only half the battle; organizing it into a concise and coherent framework is crucial in gaining all of the insights it offers. This is what can enable them to, similar to Sales & Marketing teams, execute actions based on a data driven approach. The keys to collecting actionable data is to first collect often so that you gain a continuous picture of what's happening within your organization at the right level of granularity. From a frequency perspective, running EE surveys once every 6 months or 3 months can give you a good set of data points such that you are able to spot trends easily. But, with an increased frequency comes the risk of survey fatigue and hence its important to to reduce the number of questions if you have a more frequent cadence. Furthermore, organize the EE survey, into three distinct sections to enable easy drilldowns. These include company dimensions, category themes, and category questions. By utilizing this general framework, it makes it easy to identify pockets of dissatisfaction. One can easily see if there are issues that span the organization or particular hotspots that are limited to a location, department, performance level, etc..
Having the right company dimensions can make a survey or set of pulse polls easily actionable since it pinpoints where the hotspots might be. Dimensions such as geography, office location, department, seniority, tenure, employee performance levels, and other similar definable dimensions helps one quickly identify where there might be issues bubbling up. These dimensions help you easily identify patterns that span across these groups through visualizations such as heat-maps, trends, segmentation etc..
Each of the above listed category themes need to have corresponding questions to provide actionable insights. These questions go further into particular aspects of a category and can help identify key issues that might need immediate attention. Once organized and categorized, these questions should correlate into an actionable plan. For sample questions, you can download our Employee Engagement Survey Template. Once the broad framework to help organize the EE survey data is in place, you should begin analyzing the data relative to the line items in the company dimensions category, looking for a correlation between low survey “scoring” and a specific location, department, or employee level. If any clear correlations are found, further investigate the questions to see if any underlying issues are systemic in nature or specific to a particular company dimension. You should also try to instill an overarching efficiency to the data organization to make it quickly digestible and easy to navigate. A heat map can provide such a solution with easy drill-downs to explore how different dimensions have responded to any action plans you've already put in place. Likewise, since data – like your organization and employees – doesn't exist in a vacuum, the ability to execute trend analysis on the survey data is critical in identifying trends over a period of time. 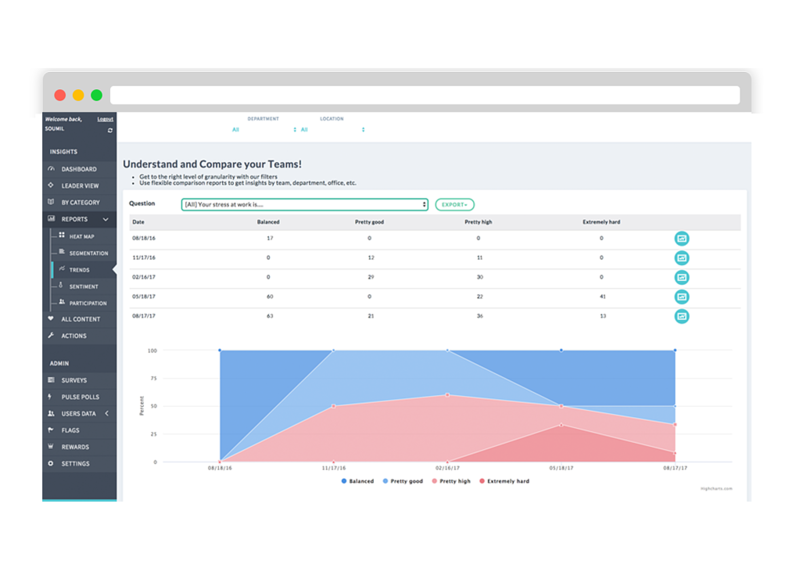 Such analysis will also give you the ability to predict various company wide employee goals such as retention, attrition, and engagement. The softer end of the data spectrum often poses the most difficulties when trying to establish and actionable framework. Areas like sentiment analysis are inherently qualitative in nature and more difficult to categorize. In these instances, technologies like machine learning can provide significant benefits with their ability to absorb, organize, and interpret large data sets with minimal input. Lastly, as you complete your data organization, make certain that leadership and management has the ability to explore the data themselves. While they obviously won't have the need nor time to analyze huge data sets themselves, it would be incredibly inefficient to expect HR to handle all queries and requests. The complexities of modern organizations are too intricate and layered to leave to the simple and antiquated notion of instinct. While there will always be an instrumental place for business acumen in the workforce, data-driven insights provided to organizations in the digital economy are too powerful to ignore. 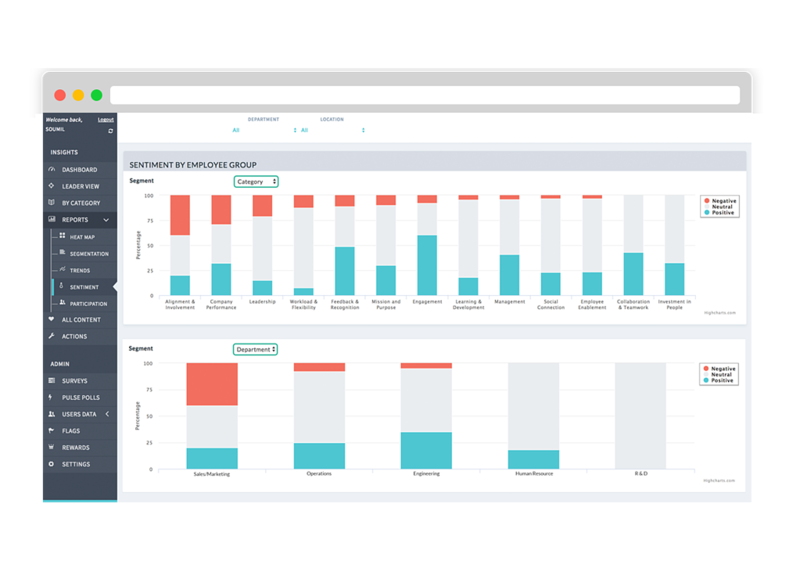 From sales and marketing to HR and customer support, data is revolutionizing nearly every facet of modern industry. However, the data alone does not have the capacity to refine, or even redefine how a company conducts its operations. As we’ve seen in the context of the employee engagement survey, organizing the data into actionable insight is the next crucial step in providing a transparent and navigable framework from which the insight can be drawn. Design effective surveys, implement them as part of a consistent and communicative system, and organize the resulting data into a framework that allows you to gain a true sense of organizational well-being and direction. This cohesive and all-inclusive process will give your employees a meaningful voice while allowing your decision makers to efficiently access and interpret the data to make any necessary changes to your corporate infrastructure or procedures.